As leaders in education, one thing is quite unavoidable: people giving us feedback! It can be positive feedback (if so, please pinch yourself!) or it can be “constructive criticism.” As I’ve studied feedback and have also been on the receiving end of a healthy dose myself, I’ve created a Feedback Tree that I think you’ll find useful. That leaves us with 70% of the time having feedback that’s Accurate…but Poorly Delivered. We call these people “Jerks!” (not out loud, hopefully!). You’ve experienced this: a little cheap shot thrown in, a trigger word, picking a really bad day, a pile on, a public scene, etc. But despite the imperfect delivery, there is truth to be found. domain name owner . As leaders, we not only have to overlook the poor delivery (because it’s quite expected — if we expect otherwise, then who’s crazy now?? ), but then sift through and find the nugget(s) of truth. The challenge, particularly for us as educators, is to not give up on the feedback process due to the long odds, but instead fight through the challenges. We have to work hard at creating the safety for people to give us feedback. Otherwise, we’ll just learn things the hard way…and I’ve certainly done my share of that. 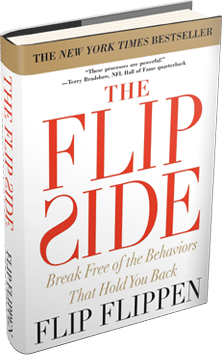 I find a lot of personal fulfillment seeing The Flippen Group processes help facilitate safety in school settings, and not just with feedback for leaders but throughout all levels.